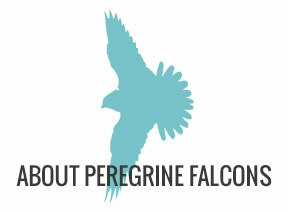 Peregrine Falcons have been spotted in Kalamazoo since 2009. After several failed attempts of the same male nesting on top of the Fifth Third Bank building, in 2014, the birds successfully fledged 4 birds from the nesting box installed by the Audubon Society of Kalamazoo (ASK) in that same location. Because of the community’s interest and the ASK’s dedication to help revitalize the Peregrine Falcon’s population (the species is on the endangered list in Michigan), the project continues, with another successful hatching in 2015. Thanks to the generous support from Zoetis, the falcon camera now allows community members follow along as the young birds grow and spread their wings.